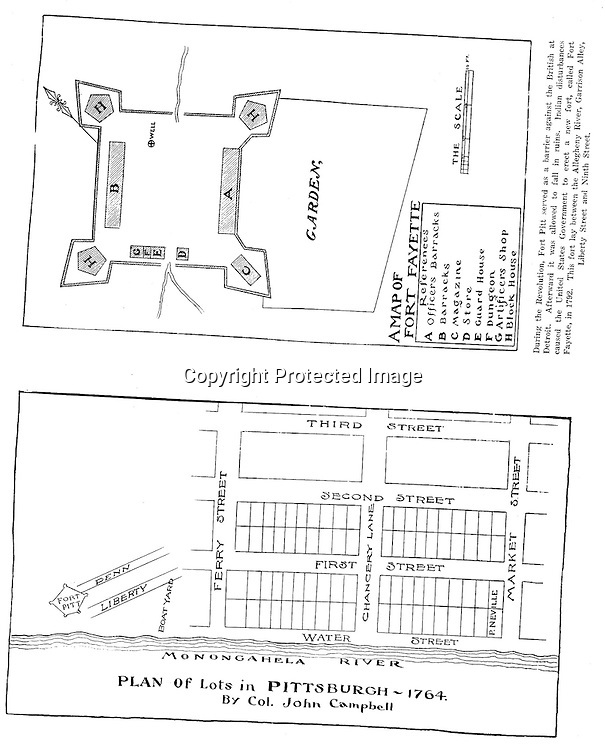 1764 - Diagram of the city of Pittsburgh and Fort Fayette by Colonel John Campbell. Fort Fayette was built in 1792. Diagrams were included in the Blockhouse during the 1948 on location assignment for AG Trimble Company - 1948.